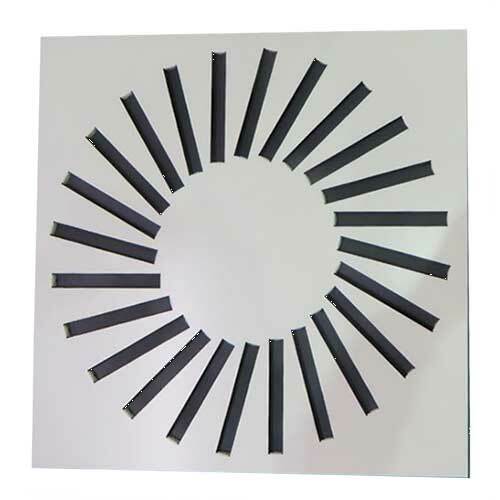 Eyelash diffusers are suitable for supply air diffusion in ceiling applications. They are particularly useful in handling high volume/reduced throw situations. 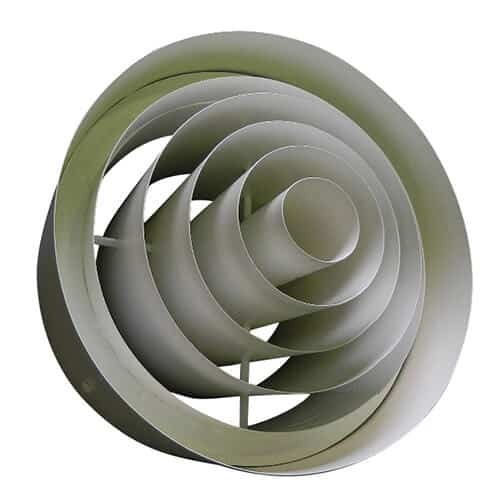 The curved blades can be arranged for 1, 2, 3 & 4 way throw patterns and can be individually set on site to adjust the air flow from horizontal to near vertical projection. 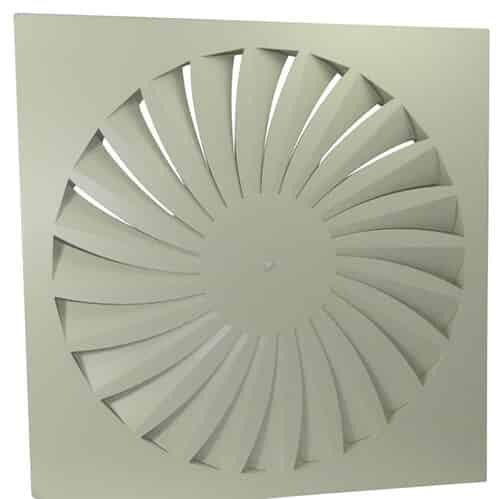 Eyelash diffusers are suitable for supply air diffusion in ceiling applications. They are particularly useful in handling high volume/reduced throw situations. 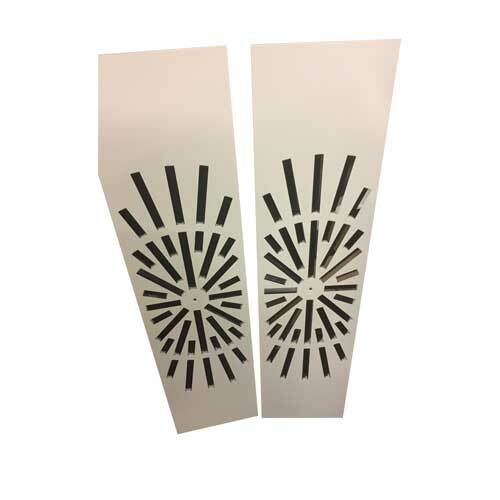 The curved blades can be arranged for 1, 2, 3 & 4 way throw patterns and can be individually set on site to adjust the air flow from horizontal to near vertical projection. 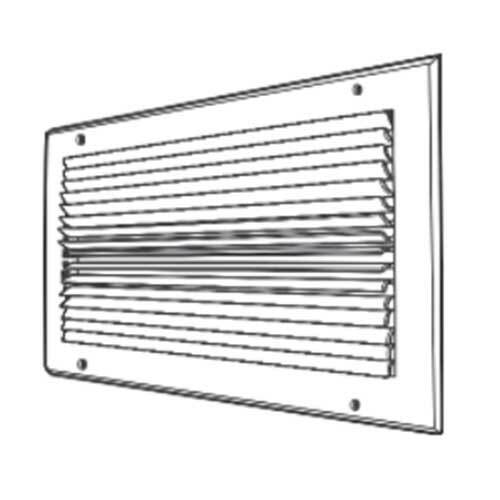 Available options are Opposed Blade Dampers (OB) and Plenum Boxes (PBX). ELD diffusers are manufactured from extruded aluminium sections, the mitred corners being fully welded and linished.